Ritesh is the principal dentist at R Dental Clinic. He graduated from Kings College London in 2007 and has been working at R Dental since 2008. He has a wealth of knowledge and experience in both general and cosmetic dentistry. 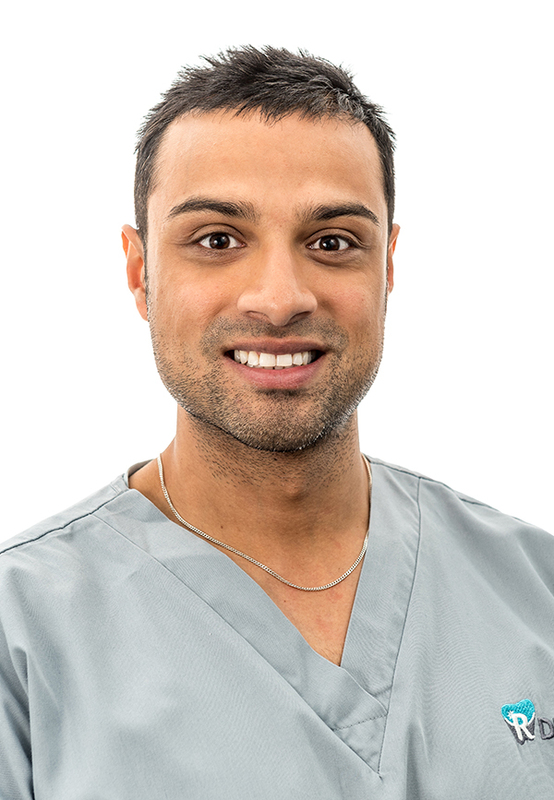 Ritesh is always happy to advise his patients on any dental concerns they may have. Ritesh took over of the practice in 2010 and has since transformed the clinic into a state of the art practice offering high quality clinical dentistry across West Yorkshire. In 2014 Ritesh undertook a post graduate degree in health care education at Sheffield University. Following on from his degree, he now mentors and supports newly qualified dentists at the practice. His continued education and keeping abreast of advancement's in dentistry means he is able to apply the latest dental techniques, here at R Dental. In his spare time, Ritesh enjoys keeping fit at the gym, playing golf and spending quality time with his family. He also has a passion for travel and loves to ski in the winter months! Joseph graduated from the University of Sheffield in 2013. He has been working at R Dental Clinic since 2014. He has also completed Paul Tipton's year long cosmetic and aesthetic course and a short term orthodontic course.. Both these courses have enabled Joseph to offer patients' options to improve their smiles using a variety of cosmetic dentistry techniques. 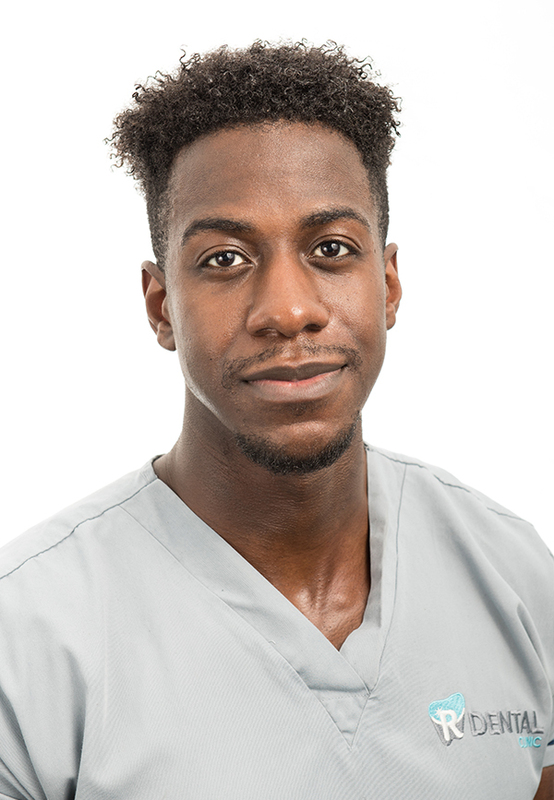 Joseph has a good rapport with nervous patients and has a very calm and gentle approach to helping them cope with any nerves during treatment. In his spare time, Joseph enjoys keeping fit and going to the gym, as well as watching and playing football. Atif graduated from University of Glasgow in July 2016 and has been a part of the team at R Dental Clinic ever since. 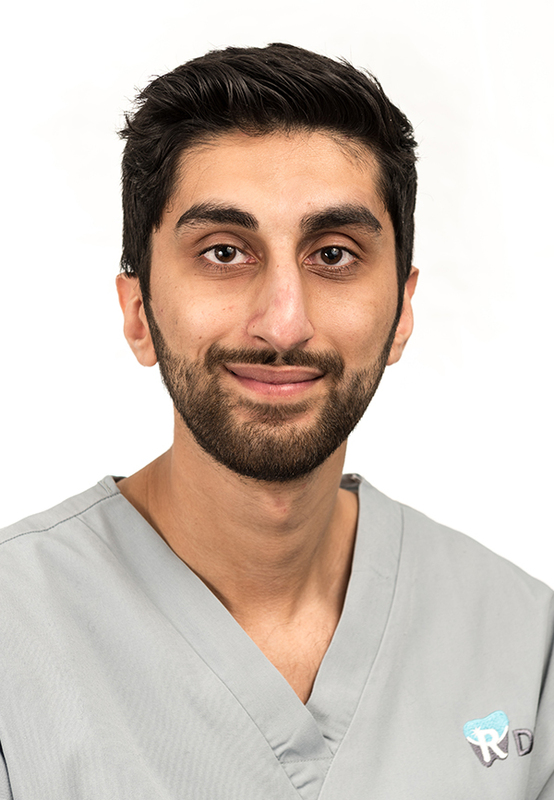 Atif has a passion for providing high quality dental care for all his patients and is looking to further enhance his skills by going on various post-graduate courses. In his spare time, Atif enjoys travelling and is an avid sports fan. Miriam graduated from Queen Mary, University of London in July 2018 and joined the team as a Foundation Dentist in September. She is looking forward to working with the R Dental team to provide quality dental care to the local community. In her spare time, Miriam enjoys baking, reading and keeping fit. Hazel has been with R Dental for over a year. 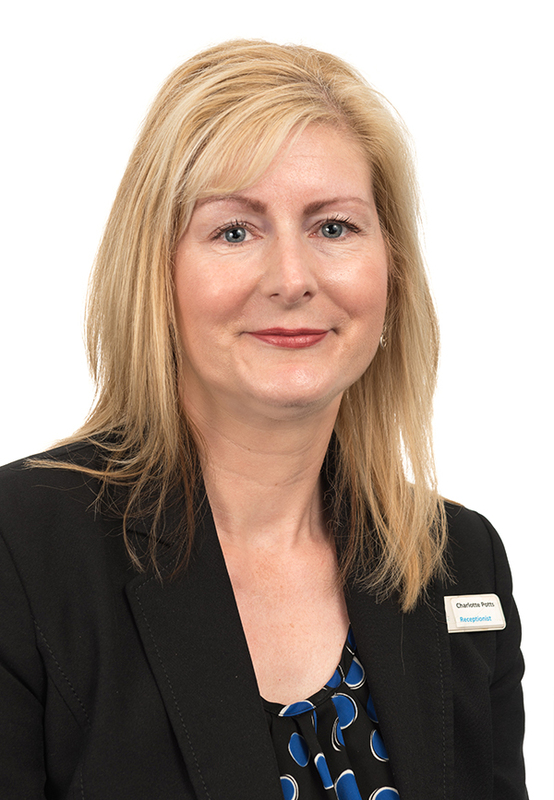 She has been in Dentistry for over 15 years as a nurse, later qualifying from Leeds University in 2011 as a Dental Hygienist. She enjoys treating anxious and nervous patients. In her spare time, Hazel likes socialising with family and friends, travelling and a spot of retail therapy! Farshea has been helping r dental clinic over the last 2 years and has recently joined our team permanently. 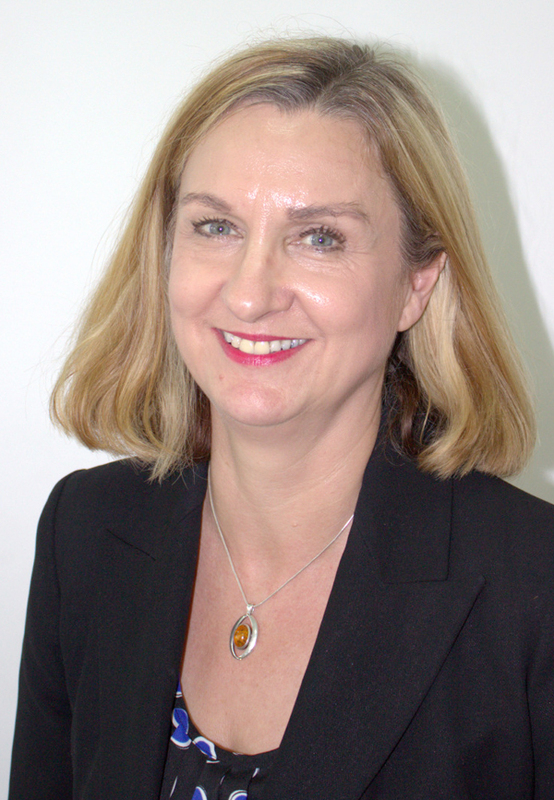 She qualified as a dental hygienist and therapist from Leeds dental institution in 2014 with a Merit. On graduation she received a prize for the best academic and the best research project, which was published in the Annual Clinical Journal in Dental Health. Her greatest achievement by far is winning the Highly Commending Hygienist of the year 2017 from the National Dental Awards. In her spare time she enjoys interior design and travelling with her family. 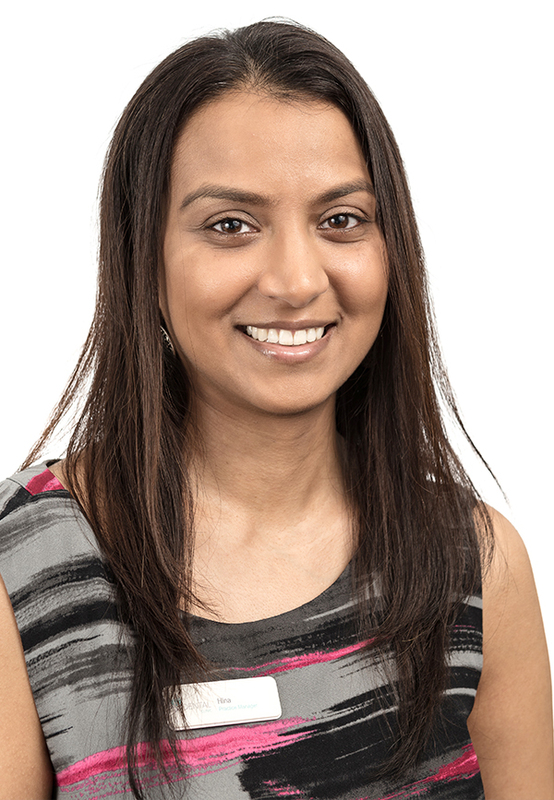 Hina has been working at R Dental since 2011 ensuring the practice runs smoothly, whilst offering a stellar, friendly and professional service. Hina has a keen interest in Oral Health Promotion and her greatest achievement is winning the Dental Practice Manager of the Year award, 2014 from ADAM (Association of Dental Administrators and Managers). Hina likes spending time at home reading, cooking and gardening, as well as going to the gym and meals out with friends and family. Julie has worked at R Dental Clinic for over 40 years and is extremely proud of the relationship she has with the patients whom attend the practice. Julie has the ability to remember small details about each and every patient which makes their visit to the Dentist as pleasant as possible. 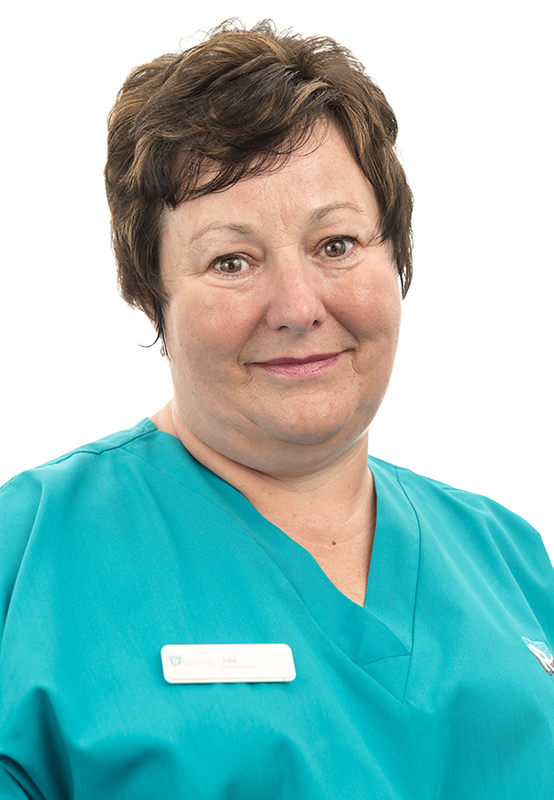 Becky first started working as a nurse at the practice in 1989. After several years Becky took a break from dentistry to study and work in Pharmaceutical Science. Since returning to the practice in 2006 Becky has studied for Extended Duties to broaden her role as a nurse. On top of nursing duties Becky runs an Oral Health Education and Fluoride Varnish clinic for children at the practice. Asma has been with R Dental Clinic for 4 years. She started her apprenticeship with us in 2013 and completed her Level 3 Diploma in Dental Nursing in 2015. Asma tries her best to make sure patients feel at ease during their dental appointments. 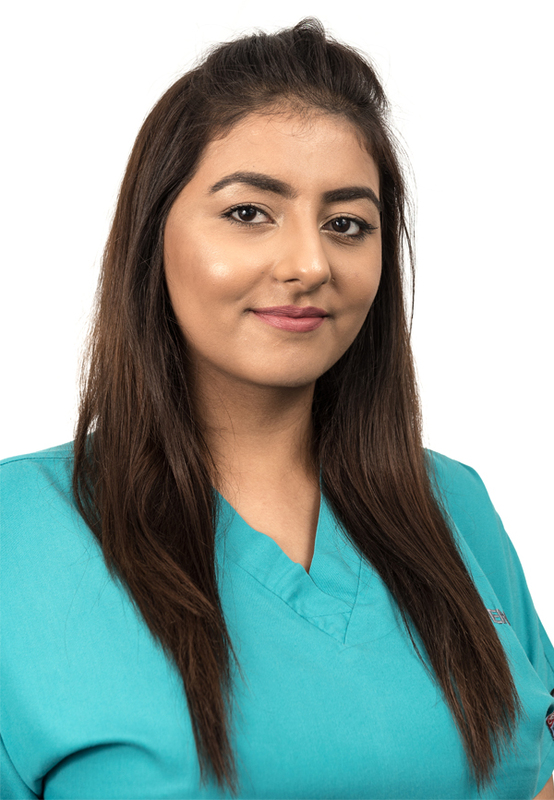 Asma has recently completed an impression taking course to further her knowledge as a dental nurse and to be more involved with patients. In her spare time she enjoy shopping, eating out and going to the gym. 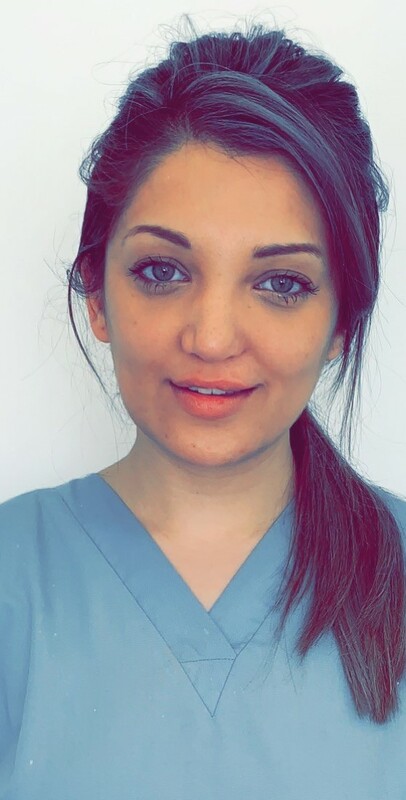 Maheen started work with R Dental in early 2015 as an apprentice, and she has recently qualified with a Diploma in Dental Nursing Level 3 QCF. 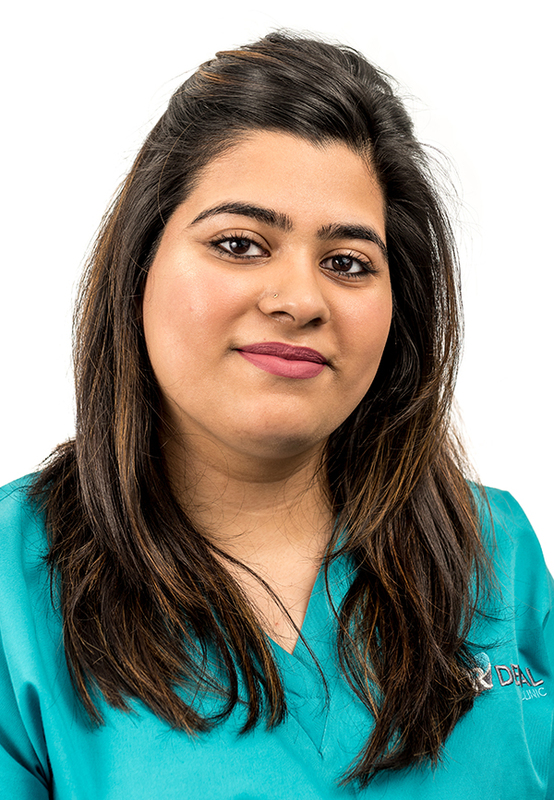 Maheen is a caring and welcoming member of the team who has a passion for the dental industry. In the future Maheen would like to go on and further her knowledge in the dental nursing sector and attend additional dental courses. 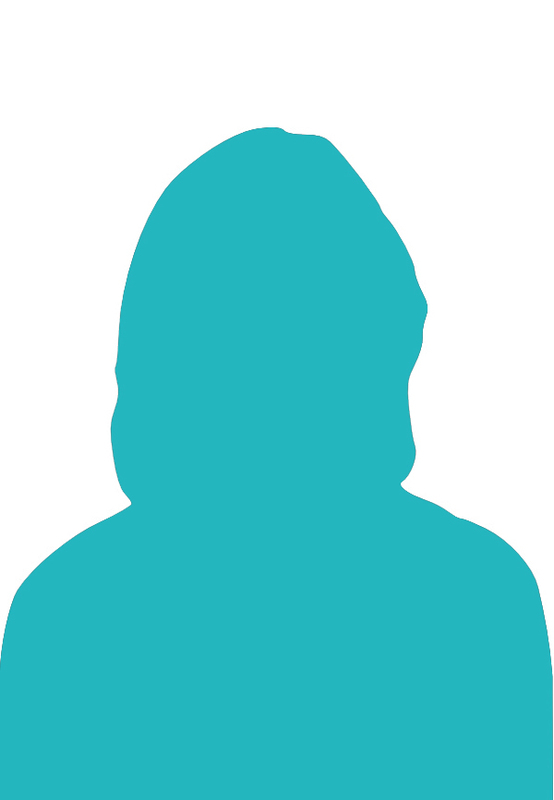 In her spare time Maheen likes to keep fit and enjoys cooking at home for her family. 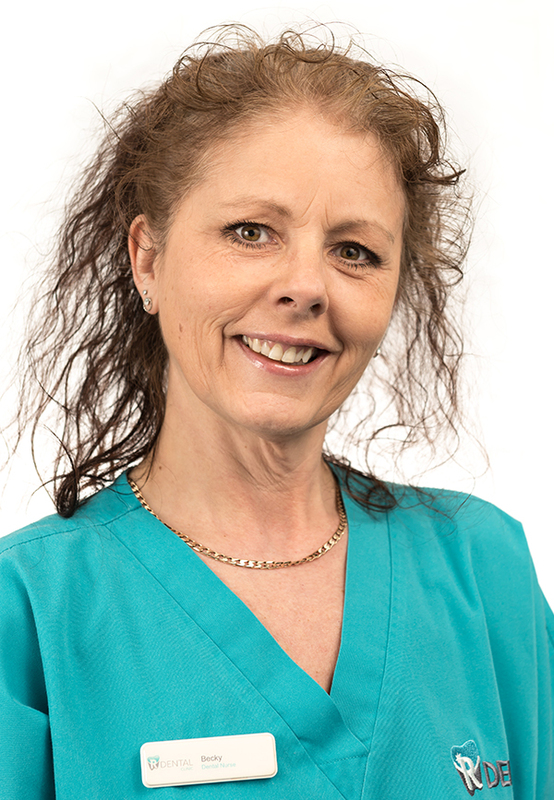 Angela has worked at R Dental Clinic for the last five years as a receptionist. She enjoys working at R Dental, and says two days are never the same. She gets to meet lots of different people from all walks of life. Her duties include welcoming and the booking in of patients and ensuring the smooth running of the busy diary. Various admin duties and ordering of stock. Angela lives locally, so knows lots of the patients. She also looks after her two grandchildren when not working. In her spare time, she likes to walk, read and socialise. Charlotte has worked at R Dental for over three years, full time on the front desk making sure patients are made to feel welcome, booking appointments and general administration duties. Charlotte is involved with oral health promotion at R Dental Clinic making patients aware through displays and posters to show that 'Prevention is better than the Cure'. 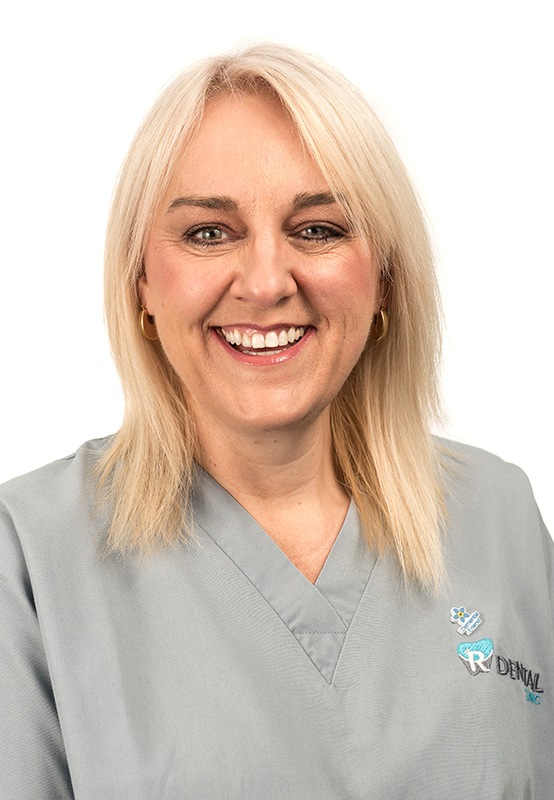 Ruth Is a longstanding member of the R Dental team, having worked in this building prior to all the alterations, she also worked for the previous principal dentist. Ruth is a part time receptionist working on one of the busiest days of the week. She is friendly, approachable and endeavours at all times to put patients first, making them feel welcome and paying extra attention to nervous patients.